A slice of Royal Wedding memorabilia is to be served up at auction when a piece of the Duke and Duchess’s cake goes on sale. A square from the eight-tiered fruit cake was given to a guest at Prince William and the Duchess of Cambridge’s wedding last April. Wrapped in baking paper, the cake will be sold at an online auction next month with a starting bid of £100. 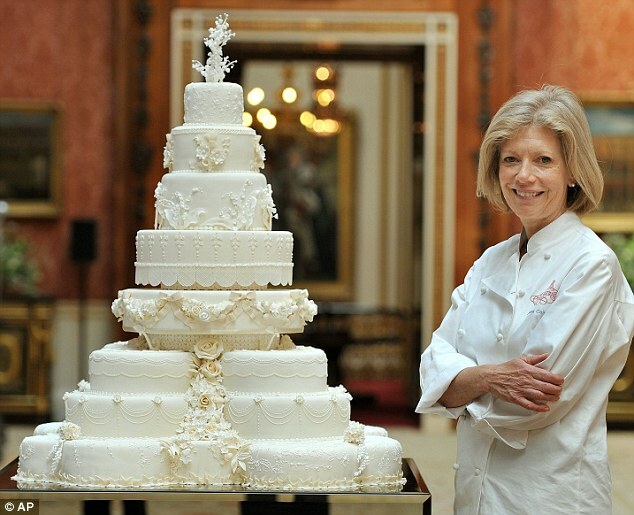 Comprising 17 individual cakes that make up the eight tiers, Prince William and Kate Middleton’s wedding cake is decorated with nearly 900 individual iced flowers and a garland design akin to the architecture of Buckingham Palace’s Picture Gallery. The first slice from Prince William and Kate Middleton’s wedding cake is likely to be put up for auction, with the final price expected to touch an astounding $1,620 (1,000 pounds). Slices from the exquisite Fiona Cairns designed cake had been given as gifts to each of the 650 people who attended the lunch last April. For all those interested in the same, the online auction for the cake slices begins on Thursday with a starting bid priced at £100.The auction ends on May 24, 2012.